They come a week after Brown, a Mass. Republican, announced he wouldn't be running for John Kerry's seat. 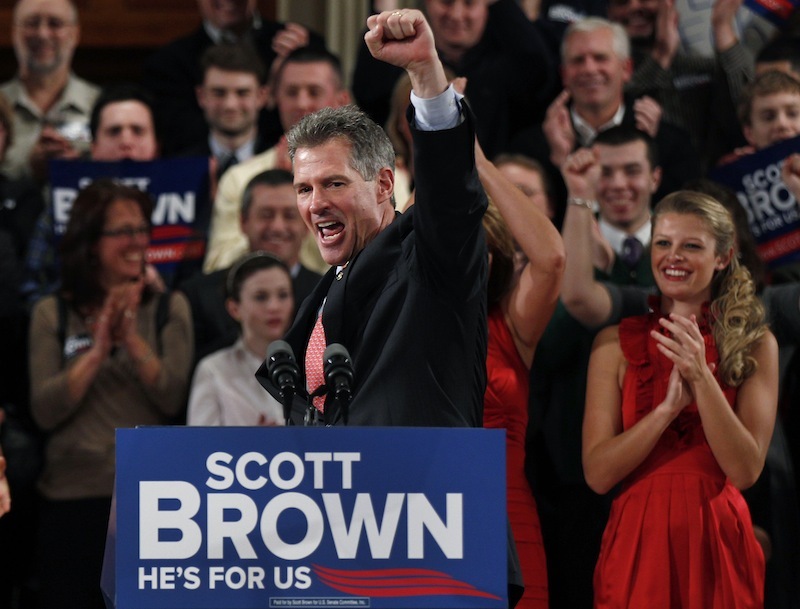 BOSTON — Former U.S. Sen. Scott Brown is in talks with Fox News about a possible job as a contributor. A spokeswoman for the news network confirmed the discussions, first reported Wednesday by Politico. They come a week after Brown, a Republican, announced he wouldn’t be running a third time for the Senate. A message was left for a Brown spokesman. Brown, who lost to Democrat Elizabeth Warren last year, is quickly building a post-Senate life. He has already joined the board of directors of Kadant Inc., a Westford Mass.-based paper company. Kadant’s president Jonathan Painter said it welcomes the chance to draw on Brown’s “wealth of experience.” Brown said he looked forward to “contributing to the future direction” of Kadant. Brown announced last week he won’t run in the special election to fill John Kerry’s former Senate seat.